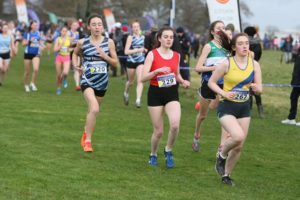 The cross country course at Abbotstown remains unusually firm for this time as it hosted the climax to the even age group races after qualification at Greenmount in October. 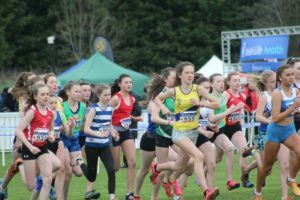 Ollie Playfair was the first out in the boys U12 race where he finished 74th. 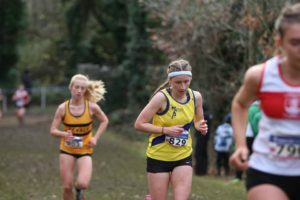 The U16 girls saw Tara McDonough claim 18th place after suffering a fall during the race. 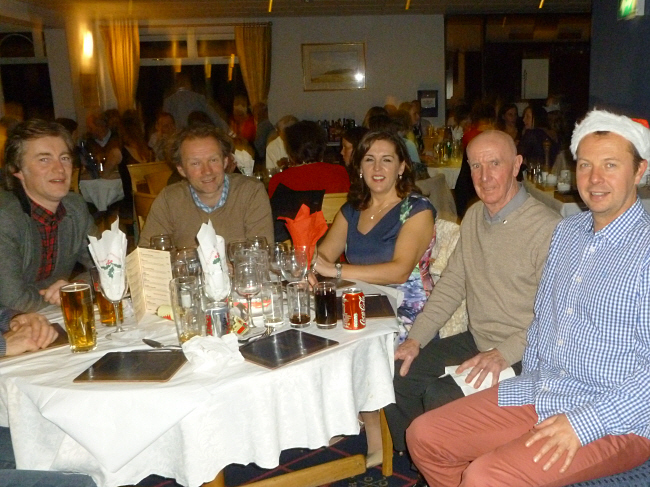 Tara contributed to the Ulster team with this placing who finished 2nd. 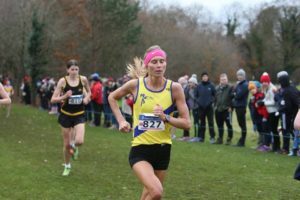 Amelia Tyler was next in 29th, Megan Briggs 93rd and Amy Ellison 115th. 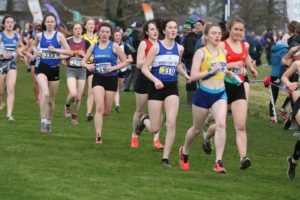 Murphy Miller led the North Down team home in the U18 girls as she finished 38th followed by Caitlin Turner 56th, Bryanna Catney 66th, Jessica Scott 68th and Rachel Gillespie 82nd. 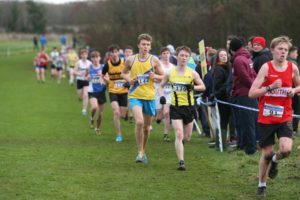 Alex Boyd finished 35th in the U18 boys and was a counter in the 3rd placed Ulster team. 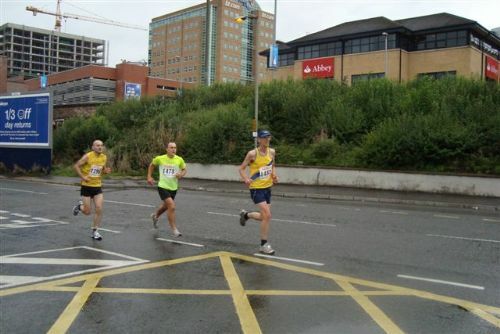 Jack Logan recorded 79th position before Cameron Jenkins finished in 97th. 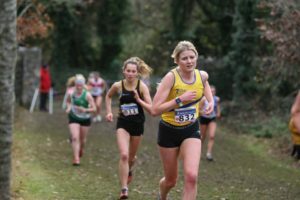 Placings in the Junior womens and mens races attracted selection for the Irish team to compete in the European cross country in Holland. 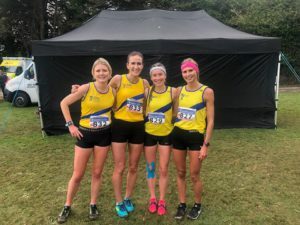 Rio Catney was 43rd in the women’s race and in the Junior men’s race Craig McMeechan was 9th which placed him on the reserve list for Holland. 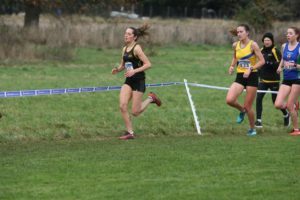 The Senior Womens race featured the current ANI cross country league champions and they did themselves justice finishing 3rd team. 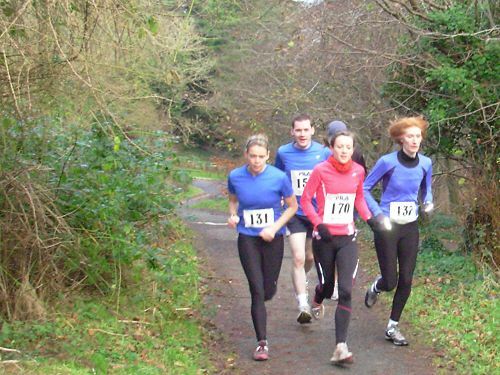 Jessica Craig was first of the team to finish in 22nd and Sarah Grant had a strong run to finish in 29th. 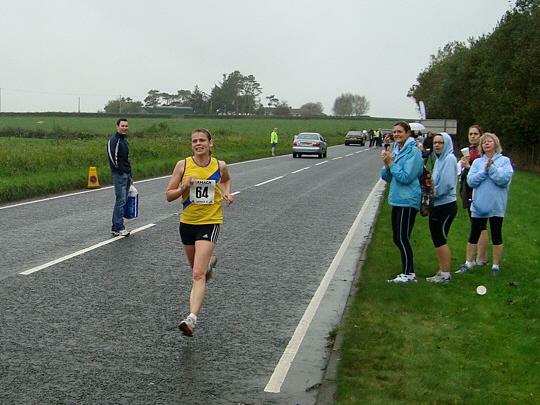 Rachel Gibson came in 34th and Katie Moore was right behind in 35th.